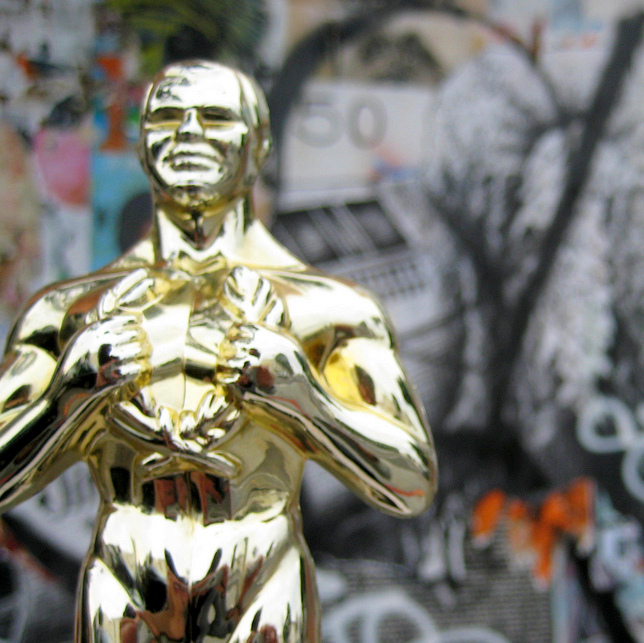 And the Oscar goes to… Photo: TimShoesUntied (edited). I combed 20 lists of the best food movies of all time so you don’t have to. Browsing the Criterion section on Hulu as I do, I came across Eating Raoul. I love a good food movie, and this one had “eating” in the title and a frying pan on its poster. But about ten minutes in, I realized the movie isn’t a food movie at all – at least not in the traditional sense – though it does center on a couple (the Blands) who want to open a restaurant in the California countryside, does involve a dramatic final dinner scene, and does feature a frying pan rather prominently. Maybe the leg and foot protruding from a mouth at the center of the poster’s frying pan should have been a tip-off. Eating Raoul is a fantastic movie. It’s wonderfully funny and wonderfully dark. It’s even something of a cult classic among a certain set (including, I found out later, my mother). But is it a food movie? At least two sources – the Village Voice and Canadian Living – say it’s not only a food movie, but one of the best. So what are the best food films? It should be easy enough to be scientific about this. A quick search brought up a slew of lists; everyone, it seems, has a list of the “Top 10 Best Food Movies of All Time,” or some variation thereof. This makes sense, since people like food and they like movies, and, given these interests, they’re more than happy to generate page views and ad revenue clicking through a ten- or fifteen-page slideshow. Based on certain criteria, I winnowed the list of listicles down to 20. * From these, I assembled a new list of 84 movies. Exactly half – 42 of them – garnered only one vote. From a purely scientific standpoint, I think we can all agree these are not the best food movies of all time. Another 30 got only two, three, four, or five votes. Better, but probably not the best. Better still, Waitress got seven. Eat Drink Man Woman clearly wins the title of most popular food film, with 18 of the 23 lists including it. (Four of those lists also include Tortilla Soup, which is basically the same movie set in Los Angeles instead of Taipei.) Ratatouille comes in second, included on 17 lists, and Babette’s Feast and Big Night tie for third, with 16 votes each. Tampopo gets 14 votes, followed by Like Water for Chocolate with 13 and Chocolat with 12. Willy Wonka & the Chocolate Factory has 11 votes, a clear favorite over 2005’s Charlie and the Chocolate Factory which only gets 4. Julie and Julia also has 11 votes. Rounding out the top ten, the German film Mostly Martha gets only eight votes, although No Reservations, an American adaptation of the same screenplay, adds 4 more. 1. We like our food foreign. Of the top ten, six are foreign films: Eat Drink Man Woman (Taiwan), Babette’s Feast (Denmark), Tampopo (Japan), Like Water for Chocolate (Mexico), Mostly Martha (Germany). Of the remaining four, two – Ratatouille and Chocolat – take place in France and one – Julie and Julia – is about French food. That leaves only Big Night – about an Italian-American restaurant on the Jersey Shore (which the rest of America would be glad to part with) – and Willy Wonka, which, judging by the accents, takes place in some gritty English industrial town. 2. We like chocolate. Chocolat is about the temptation of a chocolate shop during Lent, and Willy Wonka is about a chocolate factory and the egomaniacal loon who runs it. Like Water for Chocolate is also sort of about chocolate, at least in a metaphoric way. On a side note, at least two of these are arguably magic realism. 3. We like to eat out. Eat Drink Man Woman is about a master Chinese chef who rules his restaurant kitchen with an iron fist and employs the same management style at home, while Mostly Martha is a film about a chef struggling to balance work and home. Babette’s Feast is about a master chef forced to flee Paris, while Ratatouille is about a rat-chef who makes it there. Tampopo is about a struggling ramen restaurant, while Big Night is about a struggling Italian-American one. Even Chocolat is about a shop and Willy Wonka is about a factory. Only two – Like Water for Chocolate and Julie and Julia – are really about cooking at home. All in all, it boils down to this: we like to watch people buy chocolate magically in faraway lands. So the most perfect food movie of all time – and remember, this is hard science – is…Chocolat. *Here are the 23 lists: Serious Eats, Village Voice, TLC Cooking, Epicurious, Huffington Post, Bon Appetit, Esquire, Los Angeles Times, Kitchen Daily, Canadian Living, Paste, Entertainment Weekly, Foodista, Westchester Magazine, Stuff, Television Without Pity, My Recipes, Miami New Times, Indy Week, Reelz.